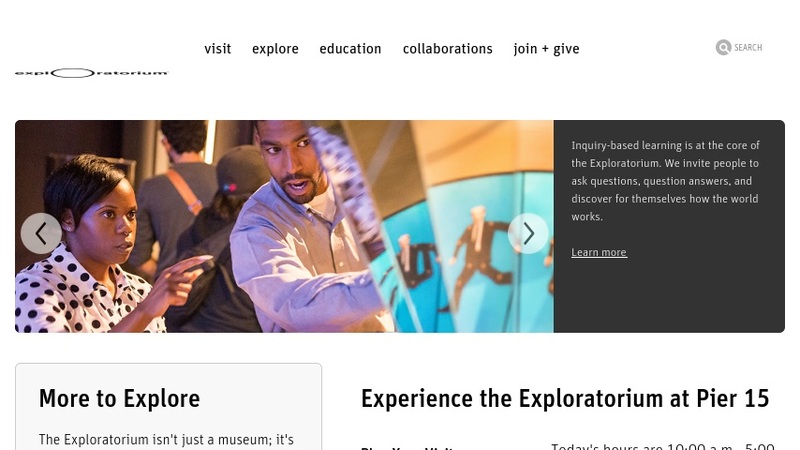 The Exploratorium was one of the first science museums to build a site on the World Wide Web. This homepage provides a vast array of links to science resources of many types. Teachers can access activities, publications, information on field trips to the museum, and a digital library of photos and movies. General interest materials include online versions of exhibits, a microscope imaging station, webcams, and weather forecasts.